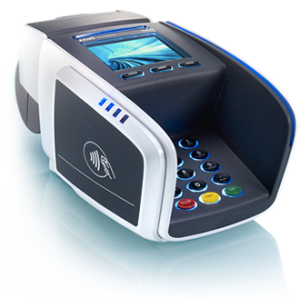 Tyro provides EFTPOS terminals for all types of businesses. Looking to handle quick payments at the counter or to take payments anywhere? Either way, they’ve got exactly what you’re looking for. Delight your customer and streamline your back office with Tyro Smart EFTPOS terminals, integrated with all major POS/PMS systems. Take sub 1.6 seconds card payments with Tyro’s reliable Tap&Go EFTPOS machines, eliminate double data entries and re-keying errors, and benefit from seamless end-of-day reconciliation. Approve batch bill payments out of Xero with a single touch on your smartphone1 and have your banking and accounting seamlessly reconciled. All with a fee-free business account that earns you bonus interest. Now you can, with the Tyro Smart Account. Just link it to your existing bank account to get started. Chosen Tyro customers will soon be offered immediately accessible unsecured business loans at a flat fee. Check out the upcoming Tyro Smart Growth Funding. See how easy it will be to accept Tyro’s business loan offers and to get the funds transferred to your Tyro Smart Account within minutes. Pay as you go. No hidden costs. With built-in 3G back-up, two ‘live-live’ data centres, and our non-stop core operating system, Tyro delivers proven reliability. And our terminals are NBN ready for an easy transition. We know that you must be able to rely on your EFTPOS.